It's an excellent time to transform yourself. Turning 30 has always been a big turning point in a woman’s life. Many think of it as a defining decade—a time when we are expected to figure everything out, be it love, career, or finances. But putting a deadline on success can be limiting. There's no switch you can flip that puts things into perspective just because you’ve hit the big 3-0. 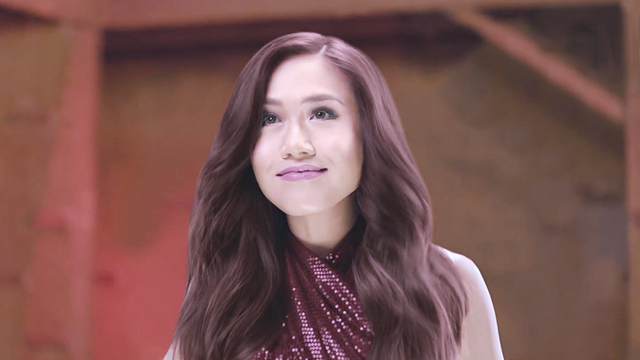 One good proof of this is singer-turned-theater star Rachelle Ann Go. At 31, this modern Filipina is proof that sometimes, this decade is still an excellent time to transform yourself. Rachelle started joining singing contests at 11, but officially hit mainstream success in 2004 after being named grand champion of a talent search show. She has also received recognitions from international singing competitions. With a number of successful albums and television performances under her belt, Rachelle has established a strong presence in the showbiz industry. But the magic of this seasoned performer didn't end there. After doing mainstream music for the past 10 years, she decided to take the next big step by trying theater. In 2011, she debuted as the heroine of a local production of a popular Broadway show. This won her a Best Actress badge and proved to be her doorway to the international stage. From there, her star continued to rise in the world of Broadway. Success didn’t come easy for Rachelle. Working hard on her craft during her 20s, along with her constant desire to outdo herself, gave her the leverage to conquer her dreams. For her, having the power to dream is a good first step to get to the top, regardless of your age. To know more about her story, watch and share this video along with your own #PowerToTransform story on Twitter. You might even win an exclusive surprise from Cream Silk for doing so!